Our events keep getting better and better. This month rediscover vodka with other VIP’s by learning directly from David Nepove, the Director of Mixology for Southern Wine and Spirits of California, as well as the Vice President of the United States Bartenders Guild. At this Vodka Tasting event experience Sobieski premium Polish Vodka paired with cuisine from Eleve Restaurant in the upstairs private room. This is a very comfortable environment that allows us to sit back, relax, learn and network at the same time. Learn more and register at sobieski.eventbrite.com. We will explore the origins of the Sobieski brand and how Sobieski Vodka is made while enjoying several Sobieski tastings, hors d’oeuvres from Eleve Restaurant’s award winning menu and learning step by step how to make our own cocktails. Join us at Eleve Restaurant in Walnut Creek on Thursday June 21th, 2012 from 6pm to 8pm. This exclusive event will sell out!… Register Now on Eventbrite at sobieski.eventbrite.com. An RSVP on Meetup does not guarantee admission. Must Register on Eventbrite. Get your early bird ticket now before the price increases! Registration Process: This event will sell out!… so get your tickets fast!… click the registration button to join us. if it is sold out, please add your name to our list of people interested in attending. Based on demand we will send you a confirmation email to complete the registration process or invite you to our next event. 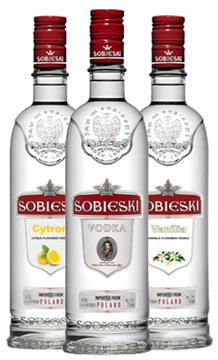 About Sobieski Vodka: Sobieski Vodka has an exceptional story that doesn’t need gimmicks. It begins in Poland’s rich Mazowse fields where the golden Dankowski Rye is harvested. This grain has been recognized for centuries for its distinctive character. Crystalline water from Oligocene springs contributes to the silky finish of this noble spirit. It is then continuously distilled, creating one of the purest and smoothest vodkas in the world. And while we feel your choice in vodka should be based on your liking it, not someone else’s opinion, Sobieski received a Gold Medal, 95-point “Exceptional” rating, and “Best Buy” award by the Beverage Testing Institute. Sobieski Vodka, the #1 premium vodka in Poland and one of the world’s bestselling and fastest growing vodka brands, makes no compromises on quality and exemplifies the height of Polish craftsmanship and authenticity. Building on a noble heritage, Sobieski Vodka is produced exclusively from the revered Dankowski rye at the Starogard Gdanski distillery dating back to 1846. This VIP event is June 21, 2012 from 6pm-8pm at Eleve Restaurant in Walnut Creek. Starts promptly at 6pm. Please arrive between 5:45pm-6pm. The tasting experience goes from 6:00pm-8:00pm. David Nepove is the Director of Mixology for Southern Wine and Spirits of California as well as the Vice President of the United States Bartenders Guild. He has been within the Restaurant Industry for 25 years and has 23 years of bartending experience. David has competed in many cocktail competitions and won first place in the 2005 Bacardi Martini Grand Prix world cocktail competition in Torino Italy for the “Best Italian Aperitif Cocktail”. Inspired, David implemented a philosophy of bartending and drink preparation – quality ingredients and proper technique in creating great drinks and developing original cocktails for Enrico’s Sidewalk Cafe in San Francisco. David’s roll as Mixologist for Southern Wine and Spirits brings him to restaurants and bars across California to share his knowledge and passion for the cocktail and the craft. David trains bartenders to be more efficient and professional behind the bar and develops cocktail recipes for all types of accounts as well as sharing American classics and of course his award winning recipes. We invite you to join us! You don’t have to live or work in Walnut Creek to attend an event. David Mitroff, Ph.D. is a Connector, Master Networker and Entrepreneur. David is the Founder and Chief Consultant ofPiedmont Avenue Consulting (www.PiedmontAve.com) a San Francisco Bay Area based business development and marketing consulting firm. David and his team work with clients across numerous markets and sizes to create brand awareness, strengthen customer loyalty and streamline business processes. David is an active member, on the executive board, or advisory committees for several organizations. He continually collaborates with several consultant groups, merchant associations, and charities to best serve the community.